Wasn't sure if I should ask this question on ECR or here, but it's relevant here, and this subreddit is much more qualified in these things. Backstory: I've converted back to MTL vaping and have been using nic salts in pod devices and my Berserker tank these past few months, and its mostly been a very enjoyable experience. The thing is that any freebase I've tried above 6mg starts to get harsh and alter flavor too much, not to mention they're just hard to find, but I required higher nic switching to MTL so I moved to salt. I used to DIY a lot but was never excellent at it or could manage to stock all the ingredients I need to complete a recipe, and nowadays premium juice seems to be alot more affordable anyway so I've finally been exploring what's on the market; The only thing is that not many excellent brands make nic salt juice yet, and for the same price you get a 30ml of salt, you can get 100-120ml of freebase. Another problem is that many brands only offer high concentrations in nic salt, but anything above 25-30 is too high for me; The only brand that makes 12mg AFAIK is Blue Dot, and while I love them it isn't the only juice I want to vape. The Berserker offers a more powerful hit than the pod systems I have, so where the 12mg is perfect in it, the 25 and 30mg juices I own are simply too much and are really only enjoyed in pods. 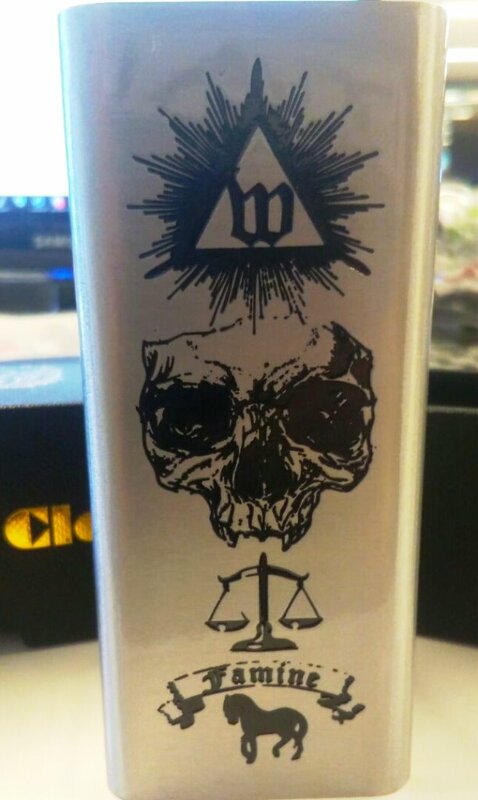 I'm now about to get into MTL RDA's, the Berserker on a squonk mod to be specific; I expect the vape to be a small step up in quality from that of the Berserker tank, so I'm thinking I want to shoot for about 12mg juice in that sort of setup as that's what I enjoyed most in the tank. Do you think doing this would alter the flavor of the juice significantly with only 2.9g (2.4%) extra solution added? Any science to add behind doing something like this? IE: The nic-salt solution will convert x% of the freebase nic into nic-salts. Thanks ahead of time. And as always, much love to this subreddit. TLDR; I want to add 250mg nic-salt solution to 6mg store bought freebase juice to achieve a 12mg concentration while getting some of the benefits of nic-salt like reduced harshness/flavor loss than that of what is typically found in a 12mg freebase juice. Bad or good idea? Drawbacks?